Our long-term goal is to produce a high-quality publication- something really gorgeous and classy, like the beardsmen we shoot! These images are a few "concept" illustrations we have made to give an idea of what we hope it will look like once printed. 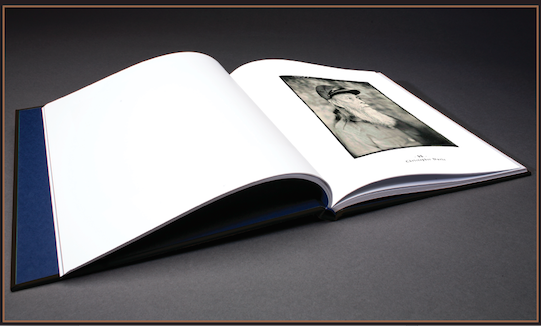 From the very beginning, we envisioned Project Barbatype's ultimate form would be as as hard-bound, cloth-covered book, with excellent quality reproductions, that mimic the look of the original tintypes as closely as possible. Our vision for the book is that it be a well-made, handsome volume that could be appreciated by art-book aficionados, and beard community enthusiasts. In addition to the reproductions of the tintypes, the book will also include essays about beard contests, beard culture, and a collection of historical beard photographs. We have met with several publishers who have expressed great interest, but the right match has not happened yet.